Opposite the majesty of Jama Masid lies the chaos of Chandni Chowk. Get nudged by cows, pushed by hand pulled carts, hassled by hawkers and waylaid by beggars. Among it all, it’s impossible not to enjoy the sights the colors the drifts of tamarind, incense and diesel fumes. This is a good place to shop as well as to wander; buy jewelry, fabrics and electronics. For those unafraid of Delhi belly, there is excellent street food available here. 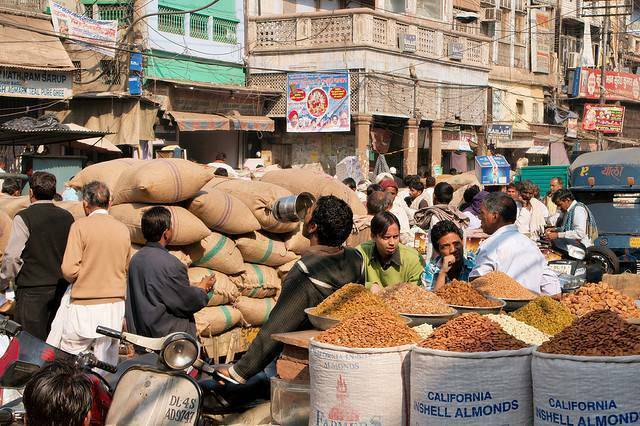 Most shops in Chandni Chowk remain closed on Sundays. Best area to try out the 'chaat' and several other local delicacies.